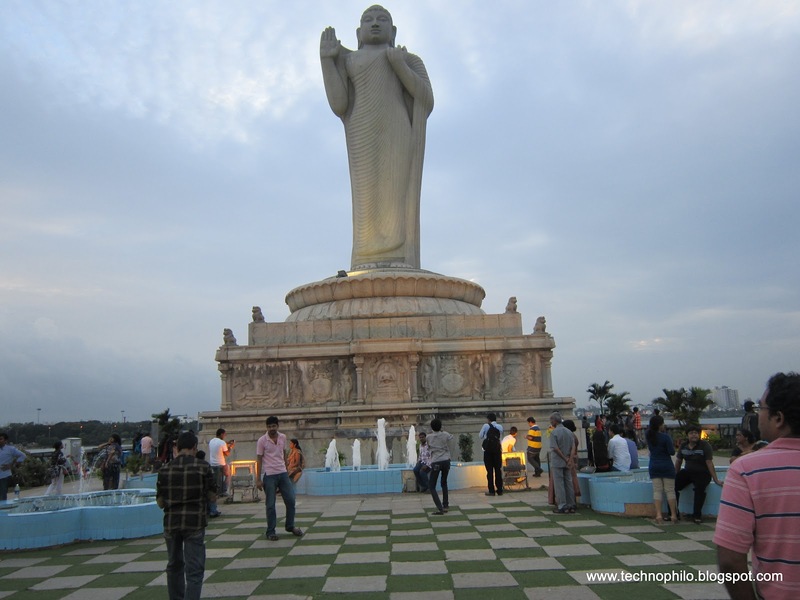 One of the popular weekend spots of Hyderabad is Hussain Sagar Lake. 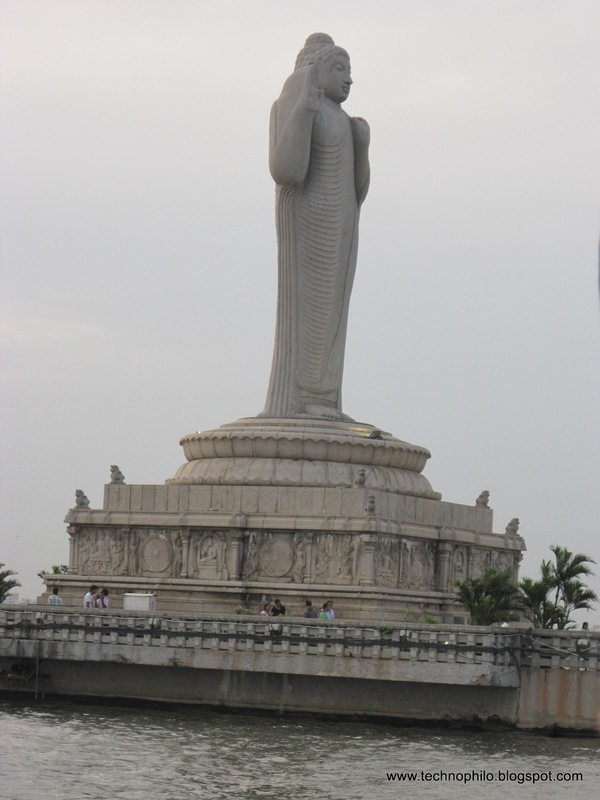 Hussain sagar is having the 17 meter height monolithic stone statue weighing 320 tonnes. Lumbini garden attached with Hussain Sagar Lake is having NTR gardens inside it and also the laser show. One can plan visiting all these on a single day as all are adjacent. I heard that the Hussain Sagar lake was constructed to solve the water from of this area by the then ruler but now water is polluted. 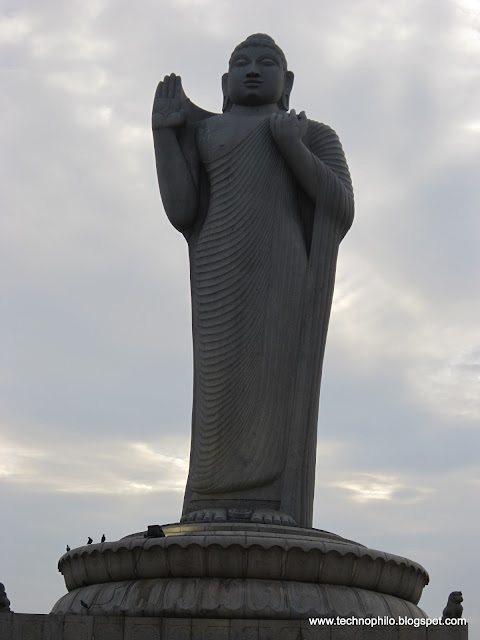 Regular ferry boats sail from shore to Buddha statue. 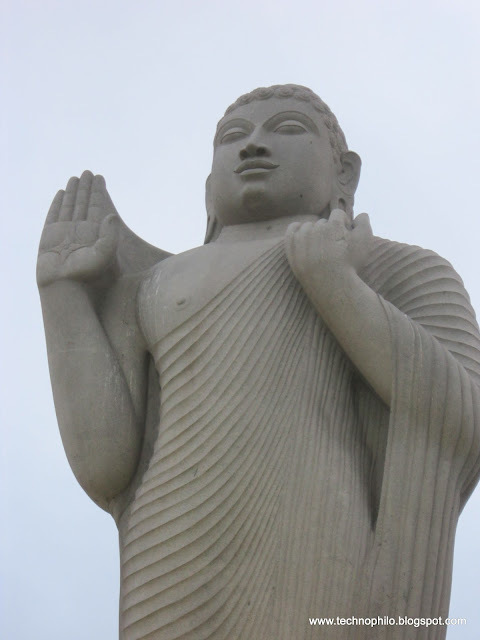 According to the display board near Buddha statue it took almost two years to carve the statue with the help of 40 sculptors under the guidance of Ganapathi Stapathi. 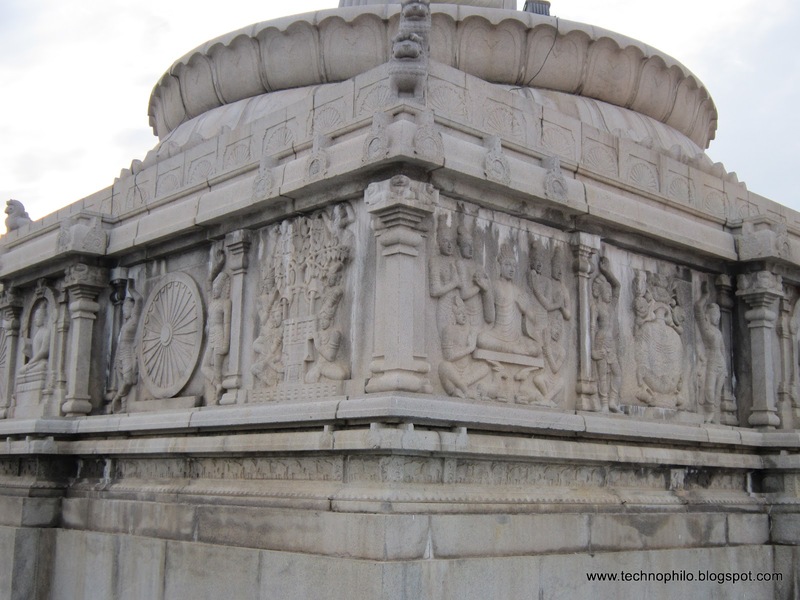 The statue was transported from Raigiri on a massive carrier with 192 wheels! statue is being mounted on stone pedestal having stone carvings of Buddha’s life.